We all want to be ‘that’ business®. The one everyone talks about. The one with ‘that’ extra something. The small brand with big business ideas that – with the right tips, tools and team – becomes a success. ‘That’ vintage shop. ‘That’ gourmet butcher. ‘That’ café with ‘those’ pastries. Whatever the vision you have for your business, you want to be the best at what you do. And you want to be recognised and remembered for it. 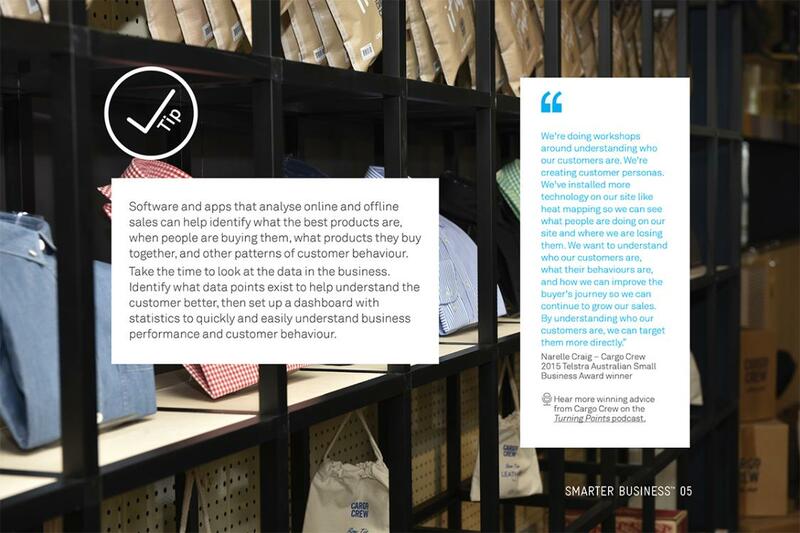 Smarter Business™ chatted with award-winning businesses and business experts to pinpoint just what ‘that’ difference might be. As it turns out, ‘those’ businesses share nine indispensible traits and habits. Read how ‘those’ businesses turned ‘that’ dream into an actionable goal and be inspired to apply their strategies to your business. Award-winning businesses and experts from retail to robotics reveal what they all have in common. Their shared advice forms the perfect guide to the indispensible traits you need to transform your own ambitious business ideas into ‘that’ business. Thank you for your interest in our report. You can download the full report in PDF via the link below. By subscribing here you consent to receiving marketing from Smarter Business™ and Be 'that' business® communications separate to any preferences you may have with Telstra. You will continue to receive marketing communications from Smarter Business™ unless you unsubscribe. You may continue to receive marketing communications from Telstra until you unsubscribe using the contact information in our privacy statement.